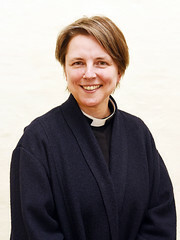 Our Guest Blogger Sarah Holloway, Heritage Open Days Co-ordinator, writes about Heritage Open Days events at churches. Model making, morris dancers, bubble blowing and a punk rocker. Not things you would usually put together I suspect, but all connected as part of Heritage Open Days events at churches this year. Once a year this annual festival of heritage and culture offers people an opportunity to see and experience something not normally available, and for the hundreds of faith sites taking part it’s a great chance to open doors to new audiences. From digging out and displaying your parish registers, to hosting exhibitions of wedding dresses , holding organ recitals or giving people the chance to experience speaking from a pulpit; there is so much that churches can offer visitors. By thinking creatively, involving music, arts and family history, sites can provide a new reason for people to come to the building. And once over the threshold visitors are often amazed at what they find inside – be it stunning architecture, fascinating history, a peaceful haven or a welcoming community – encouraging them to return. Forever blowing bubbles… St Paul’s Parish Church, Sale, Greater Manchester have organised a wonderfully festive day for visitors. There will be music and dancing as well as tower tours and the parish registers on display. And lots of fun for children too, activities including a dressing up box, a storyteller, and bubble blowing! Punk rocker turned window designer… Frettenham Church, Norfolk are offering the chance to meet the artist who created their Resurrection window. One of our blog team wrote about this last year (The punk behind the window) and is planning a follow up piece after this year’s event. So a good example, not just of a creative event, but also of using social media and different networks to promote it. Working on a theme… In Dorking, Surrey, events are taking inspiration from the anniversary of WWI. The Quaker Meeting House has a thought provoking exhibition of artefacts, letters and photographs, focusing on the story of one conscientious objector. They will be engaging children in the story with model making of refugee houses and a soundscape to match a slideshow. 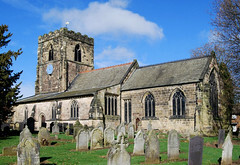 Whilst at St Martin’s Church, the local folk club and friends will be taking visitors through a selection of songs, prose and verse from the period. Working together… Heritage Open Days is well established in Cheetham Hill, Greater Manchester and they use the festival as an opportunity to bring sites and communities together. This year there is a heritage coach tour taking in five different faith sites, a temple a synagogue, a mosque and two churches. These are just a handful of the creative events taking place at faith sites this September. At the heart of all of them though are the brilliant teams of dedicated volunteers. These amazing people should never be underestimated, their passion and enthusiasm can turn the smallest event into the most special day. So a huge thank you to all who take part. And if you aren’t one of them this year, please do go out and support them, maybe you’ll be inspired for next year! When doing research over the last few years I have become increasingly aware of a serious and growing problem related to the future of historic ecclesiastical textiles. Textiles, as I am sure you are aware, are probably the most fragile of all the decorative objects in a church interior, yet, they often come last in the list of priorities. For various reasons more and more very beautiful pieces, most of which are exquisitely embroidered, are being made redundant, or soon will be. I have direct experience of a number of very large embroidered items that are homeless and are literally kept under beds while awaiting their fate. This problem will not go away, in fact it will predictably become much worse and most museums are too full to take what are often very bulky items. Although many exquisite items are still in use some are under threat due to the imminent closure of churches, or poor storage conditions. Holes in church roofs directly affect vulnerable cloth and thread, while mould and insect damage is costly to prevent and treat and generally unaffordable for most parishes, especially rural ones with declining congregations. These beautiful objects are embedded with many histories and it is, therefore, reasonable to think that they should be everyone’s responsibility not just the concern of parishioners. I do feel strongly that the historians of the future will never understand why we failed to do something when presented with such overwhelming evidence. I am sorry to raise the voice of gloom but I do feel that more people should be made aware of the current situation. As Chair of the Textile Society I have suggested that we should consider acting in some way to help. In the first place I thought we should begin by simply discussing what the problems are and identifying potential solutions. The Textile Society will hold a study day that will highlight good practice, present case studies and offer some practical guidelines. This will be funded by the society and will take place in London in Spring 2015. Details will be finalised soon. Meanwhile, I would be keen to hear from anyone who knows of ecclesiastical textiles under serious threat, or who is aware of good practice that has prevented or solved problems. We would welcome information about projects which demonstrate different forms of action. Meanwhile, should we encourage the setting up of regional centres where textiles, and other archive material such as needlework samples, designs on paper and other related documents could be stored, exhibited, used for research and workshops? Obviously such a solution would be costly. Has anyone any other workable ideas? There are three things I have a passion for, photography, technology and churches. This may seem an odd mixture but bringing them together results in opening our churches to a wider audience. Photography has always been an interest, and since 2008 a profession, I also have been visiting my local churches and completing photography of the interiors and exteriors for my own project on Leicestershire & Rutland churches and others across the UK. In 2012 I was approached by Google to launch their Google Business Views project with 360° imagery of ‘business interiors’ using their streetview technology – basically bringing their streetview views inside. In August 2012 I completed the first church in the UK at St Mary de Castro in Leicester giving them a Google 360° virtual tour for their spire appeal. From there I have spoken at various conferences on this new technology and its place in helping churches gain a wider audience. Since then I have completed many churches with the 360° tours and recently we created a tour for St Wulfram’s in Grantham. We were approached by St Wulfram’s to highlight their spire appeal and to create a 360° tour of the church for embedding on their website. Because this is Google’s streetview technology we can extend it from the street and ‘walk’ to the church as below, you can also make it full screen by clicking the ‘view larger map’ for a better effect. It also appears in Google Maps, Google search results and enables anyone from around the world to get a real insight into the church. It also is easily embedded into websites and you can start the tour wherever you want to. We also advise adding some ‘life’ to 360° church tours, so at St Wulfram’s we organised the Cafe to be open and people (all faces are blurred for privacy) to be in the virtual tour to ensure that the church was not empty. The photography took most of the day and over 2,000 images were taken to create the tour and it was on-line within a few days, as to cost I charge less than our commercial rates for churches as I have a real interest in them. There are also new enhancements being developed which I am really excited about. Moving around large virtual tours is a pleasure but can be tiresome clicking through all the arrows, what we wanted was a method to ‘jump’ to specific parts of the tour and have pop-ups and embedded information within the tours. This has now been accomplished and we are testing some new technology which allows this. 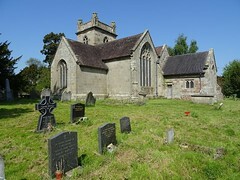 You can see St Wulphram’s with and without this new feature here. At the moment it only works on desktops and laptops but smartphones and tablets will be supported shortly. Technology is always moving on but at this moment we have some great tools to enable anyone from around the world to look around our heritage and churches like never before. I am sometimes questioned that “surely having such a tour means people would not bother to visit as they can now view it on-line”. I disagree, so many people look for for information on-line and many of our churches are locked or not easily accessible. This allows anyone to have a real insight into their local church or places they may want to visit. Perhaps more importantly your church is accessible to the worldwide public like never before. Google recently did a tour of Ankor Wat, now I know I am probably never going to physically get there, but at least now I can get better experience of this famous landmark. From the church’s point of view: Don Sission from Silkstone All Saints has previously written about Google InsideView in his church. NCT Grants: we have given grants to both Leicester St Mary de Castro and Grantham St Wulfram. Find out more about our grants on our website.